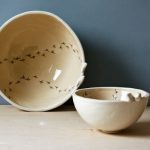 Posted in Ceramics, House, Karo Art, Love, Mother's Day Gift Ideas. Tagged as art, ceramic, house, karo, karoart, tile. 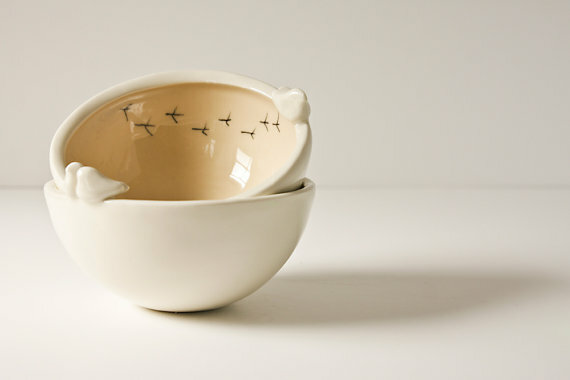 ‘tweet bowls’ – fun and adorable ceramic dishes with little white bird (or two) perched on the edge and black footprints marking the inside of the dish. 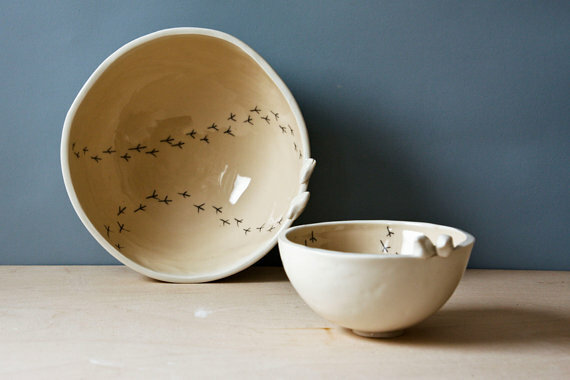 Please, note that the photos in the listing serve as a guideline, each bowl is slightly different from one another.